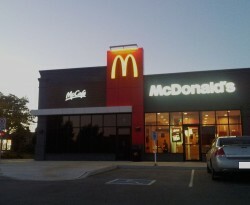 With an increase of 52 million euros (+ 8%), the Austrian subsidiary of the US system gastronomy market leader McDonald's achieved sales of 674 million euros in 2018. 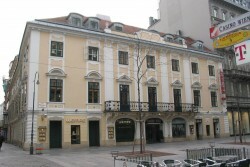 Casino Wien, a subsidiary of CASAG Casinos Austria AG, is investing in the preservation of the venerable Palais Esterházy at Wiener Kärntner Straße 41. The heritage-protected facade will be restorated from summer 2019. The new BMW Z4 has been rolling off Magna Steyr's production line for a few days now. The sporty roadster is produced exclusively in Austria for the entire world market. 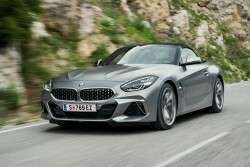 The BMW Z4 is - besides the BMW 5 Series - already the second BMW car that is currently produced in Austria. This emphasizes and strengthens the BMW Group's commitment to Austria as a business location. At yesterday's meeting of the Casinos Austria Supervisory Board, the Management Board presented plans for modernising and strengthening the casino business in Austria and internationally. However, a bang came from CEO Alexander Labak, who will leave the company at the end of 2019. 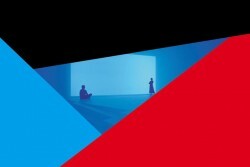 On 27 September 2018, the Austrian premiere of the successful international production "Bodyguard" will take place in Vienna's Ronacher, based on one of the greatest blockbusters of all time. 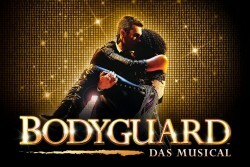 Bodyguard replaces the cult musical "Dance of the Vampires", which recently celebrated its acclaimed Dernière. Indian production companies visit potential film locations in Austria for future films. With the aim of exploring Austria as a backdrop for future Bollywood films, six producers from India's most renowned production houses will be visiting Austria from 9 to 15 September 2018. 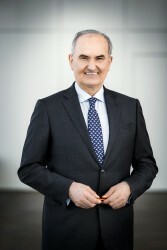 The textile group Wolford, listed on the Vienna Stock Exchange, is moving from the Prime Market to the Standard Market. 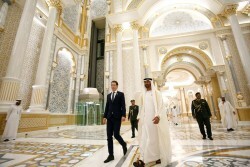 An economic delegation led by Federal Chancellor Sebastian Kurz, with the participation of Margarete Schramböck, Minister of Economic Affairs, OMV CEO Rainer Seele and a small delegation had the main objective of supporting OMV in the concession agreement for the acquisition of a 20% stake in two fields offshore Abu Dhabi from ADNOC. The Management Board of Agrana has decided to propose a dividend payout in the amount of EUR 4.50 per share for the 2017|18 financial year (dividend for 2016|17: EUR 4.00 per share) to the 31st Annual General Meeting to be held on 6 July 2018. The Northern Irish toy dealer Smyths Toys takes over the 15 Toys "R" Us toy stores in Austria. 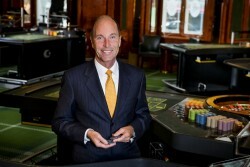 Casinos Austria AG (CASAG) stops the sale of Casinos Austria International (CAI). 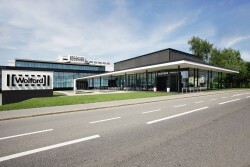 Shanghai based Fosun Group through its Hong Kong (Central) vehicle Fosun Industrial Holdings Limited (Fosun) has taken over control of one of Austria's last remaining lingerie assets. According to Wolford, its new strategic core shareholder has agreed to pay at least €36M for a 50.87% majority stake in Wolford AG. 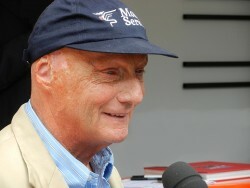 Wolford has been struggling with management problems for some time. It also has been loss making for several years. Fosun Industrial Holdings Limited, a subsidiary of Fosun International Limited (British Virgin Islands) is an investment holding company with interests in asset management and entertainment services. Fosun wants full control of the lingerie maker. Upon the closing of the share purchase agreement Fosun intends to launch a takeover offer to the remaining shareholders. Fosun was co-founded in 1992 by Fudan graduate Guo Guangchang who meanwhile became the 34th richest person in China with a net worth of €7 billion. Producer of climbing, skiing, mountain sports equipment Black Diamond will move its European headquarters from Basel to Innsbruck. 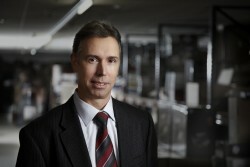 Tim Bantle has been appointed Managing Director. Black Diamond is actively recruiting staff for the new office, with approximately 35 jobs across sales, marketing, customer service, operations and finance. The new office is expected to be operational in May 2016. 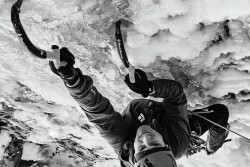 Black Diamond Equipment was established in 1989 and has its headquarters in Salt Lake City in Utah. The FT reports that Brussels is preparing a regulatory crackdown against rip-off pricing by national postal operators on cross-border parcel deliveries. According to a study, cross-border parcel deliveries are often five times more expensive than identical trips on the domestic market. 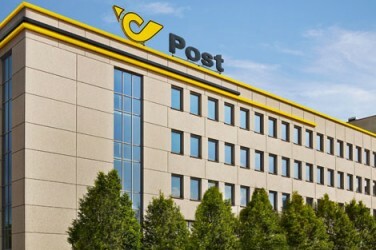 While the price of a standard 2 kg parcel delivery in Austria with the national postal operator is €4.44, to have that same parcel send to neighbouring Italy would cost €14. Sending the same parcel back from Italy to Austria will rise to €25. In order to connect the common market, the EU wants to develop the potential of e-commerce and to boost cross-border trade. According to the FT, a spokeswoman of the European Commission said that early next year the Commission will “launch measures to enhance price transparency and regulatory oversight” of the European parcel delivery market. 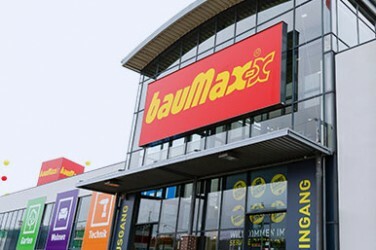 Insolvent DIY chain BauMax ended its operations completely on Friday with many stores sold to Obi of Germany. Seven stores did not attract a buyer. Some 700 employees in total are at risk of losing their jobs. Miss Earth, an annual international beauty pageant promoting environmental awareness is celebrating its 15th year in Vienna. Along with its rivals Miss Universe and Miss World, Miss Earth is one of the three largest beauty pageants in the world in terms of the number of national-level competitions to participate in the world finals and one of the most publicized beauty contests in the world. The reigning titleholders dedicate their year to promote specific projects and often address issues concerning the environment and other global issues. Climate Change will be the focus of Miss Earth for its Crystal Year celebration. Around 90 delegates from all over the world will be arriving on November 18, to start their activities and converge at the Marx Halle in Vienna on December 5, 2015 for the Coronation Night. Until September 13th it’s all about fashion in Vienna’s Museums-Quartier. About 70 designers show their collections: at fashion shows and in the adjacent sales area in Quartier21, which invites visitors to go shopping. This year marks the seventh edition of the MQ Vienna Fashion Week. 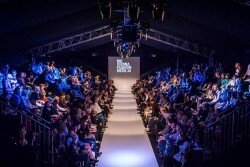 Last year, over 10,000 visitors came to the fashion event. Between June 11 and October 4, 2015 the Austrian capital will host its first ever interdisciplinary Biennale: this year’s edition aims to bring together art, design and architecture, and harness the power of creative ideas and artistic projects in its search for positive change. Supermarket Chain Billa plans to invest some 100 million euros in Bulgaria and to open around 40 new stores. 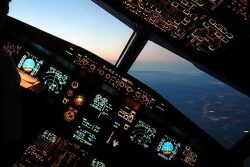 The latest reports prove that German Wings captain Patrick Sondenheimer tried to break into locked cockpit door 'with an axe' as plane was descending. German police have been searching the home of co-pilot Andreas Lubitz and his parents. They found a ripped-up sick note showing that he tried to hide his illness from employer German Wings. 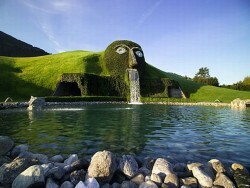 Swarovski Kristallwelten will reopen on April 30, 2015. A total volume of 34 million Euros has been invested. The space will be more than doubled to 7.5 hectares. In addition to the all-encompassing renovations in the garden all around the iconic Giant, five Chambers of Wonder are being redesigned entirely from scratch. 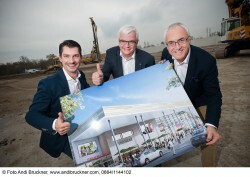 The starting signal for building work to turn the HUMA Shopping Center into probably the most modern shopping center in the capital has already been given in December 2014. A shopping center with more than 90 shops, restaurants, catering outlets and services, 2000 free parking spaces and 800 jobs is being built at a traditional location in Vienna-Simmering on a gross leasable area of 50,000 square meters. 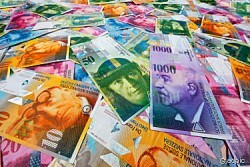 In absolute terms, Austria has the most franc foreign currency loans in the European Union. 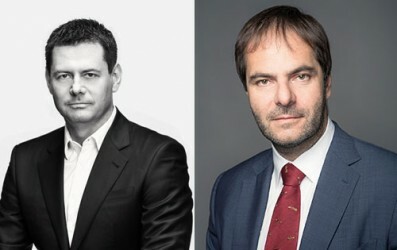 Huber Group, the Götzis/Vorarlberg based lingerie maker has acquired the French premium brand Hom for men from Triumph Group to target the upmarket male underwear category. Austrian state holding ÖIAG is going to be turned into a limited liability company (GesmbH) called "ÖBIB" Österreichische Bundes- und Industriebeteiligungsholding, which will be permitted to make new acquisitions and which will report directly to the Finance Ministry. 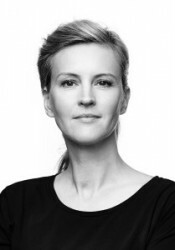 Wolford AG has appointed designer Grit Seymour as its new Creative Director. This position, which was created as part of the company's strategic refocusing, is intended to drive the brand development. The new Creative Director's main responsibilities will include the design of future collections as well as advisory function for Wolford's overall brand identity. The first signs of her contribution will be visible in the 2016 spring/summer collection, which will be presented to the professional public in summer 2015. One of the world’s best known publishers of independent travel and language guides, Lonely Planet, has ranked Vienna as one of the top 10 cities “not to be missed” by travellers in 2015. 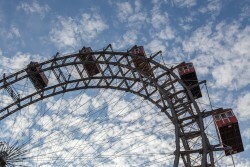 According to Lonely Planet, there is no better time to visit Austria than next year during the Eurovision Song Contest 2015, which takes place in Vienna. The list also includes destinations like Washington, Milan, Chennai or Toronto. 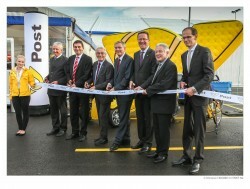 Listed postal service provider Post AG has officially inaugurated the new logistics centre in Allhaming, Upper Austria. Built for EUR 50 million (USD 64 million) and used since the beginning of August instead of the centre located at the Linz main train station, it has been designed for daily up to 1.6 million letters and 100,000 packages. Some 650 employees work in the new post office near the motorway Westautobahn. Various political officials participated in the inauguration. Netflix: "We are Proud to Bring the Future of Television to Austria"
Netflix, the American provider of on-demand Internet streaming media followed up its launches in France and Germany by adding Austria to the list of countries in which its streaming services is available. 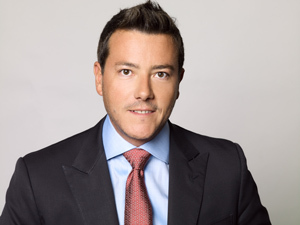 The comapny intends to capture a third of the market share. 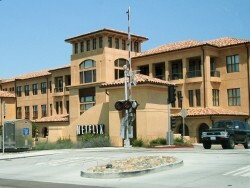 The company was established in 1997 and is headquartered in Los Gatos, California. 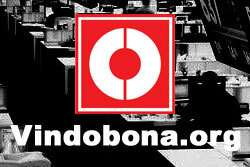 It started its subscription-based digital distribution service in 1999. By 2009, Netflix was offering a collection of 100,000 titles on DVD and had surpassed 10 million subscribers. By July 2014 Netflix has subscribers in over 40 countries. 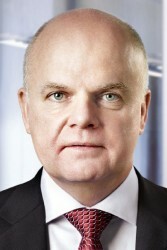 Josef Taus is delisting his investment company Management Trust Holding (MTH). The main reason for the delisting of this long-term stock market participant (since 1990) is the very low percentage of widespread shareholdings: only 1.25 percent of the shares is held in free float. The company will present a respective offer to the few minority shareholders. Another reason is the restructure of Taus’ empire, which will allow the industrialist to reduce his dependence on minority shareholders. 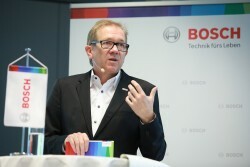 The brand DiTech has been purchased after the bankruptcy by the Upper Austrian Computer Dealer e-tec. 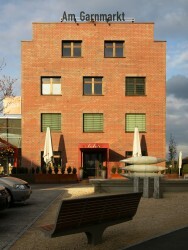 Now the newly established DiTech Electronic GmbH starts operations. The first stores open already at the beginning of September. The contest will take place in Vienna, Austria, following Conchita Wurst's victory in the 2014 contest in Copenhagen, with the song "Rise Like a Phoenix". On 6 August 2014, it was announced that Vienna had been chosen as the host city for the 2015 contest. It will be hosted in Wiener Stadthalle. "As an internationally-minded city, Vienna is the best venue for this event, and will prove its cosmopolitan nature to the international public. Most importantly, we want the Song Contest on 23 May 2015 to be a cause for celebration for everyone in Vienna - locals and guests alike." says Mayor Michael Häupl. The German online gardening DIY chain GartenXXL, a subsidiary of the Tengelmann group, is setting up in Austria. The range of offered products includes over 20,000 products from brands such as Gardena, Fiskars, Bosch or Kettler. The products shall be offered via gartenxxl.at. After successful launching in Austria, GartenXXL intends to expand to other countries in CEE/CESEE. Stamp producer Trodat announced plans to slash 40 jobs in order to reduce operation costs, but the firm has not changed its guidance for this and subsequent years, as it targets doubling the revenue to EUR 300 million by 2020.